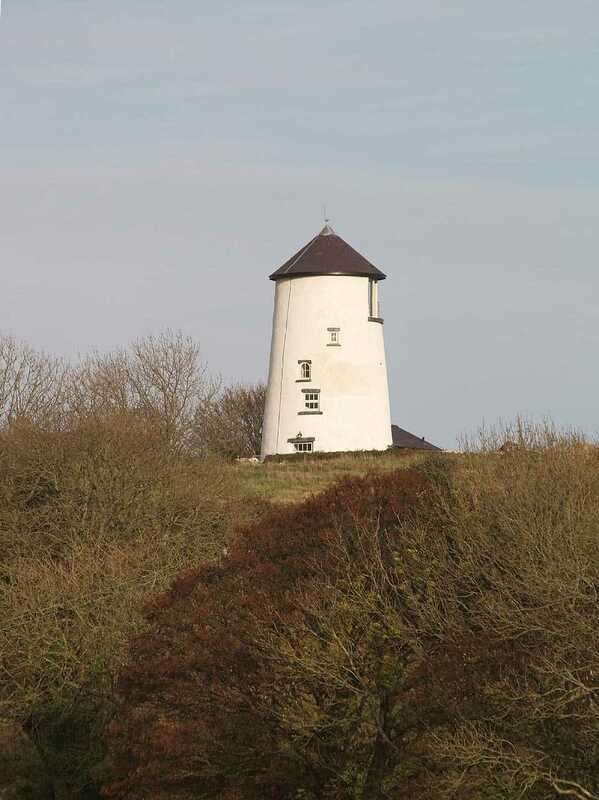 Llangoed Windmill - Melin Tros Y Marian (or Melin Llangoed) on the Isle of Anglesey (Ynys Môn) in North Wales. 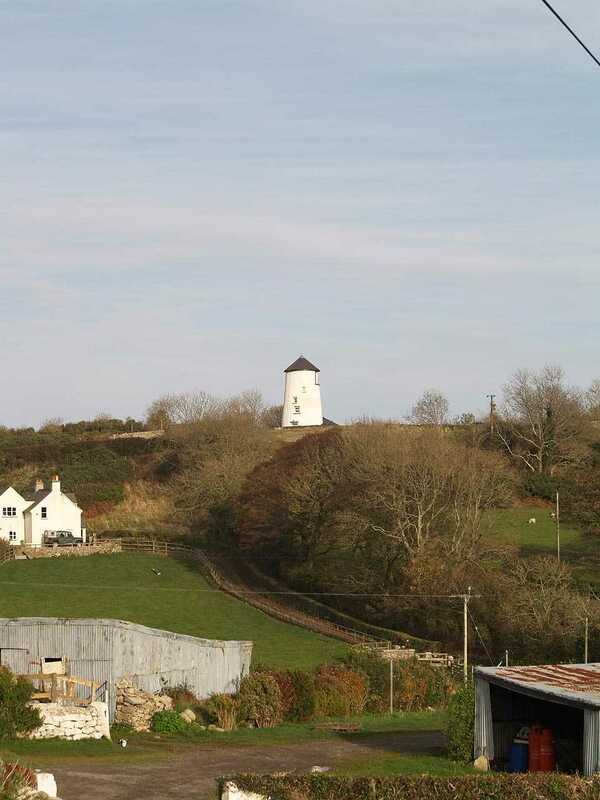 Llangoed, Melin Tros-y-Marian Windmill in a rural surrounding. 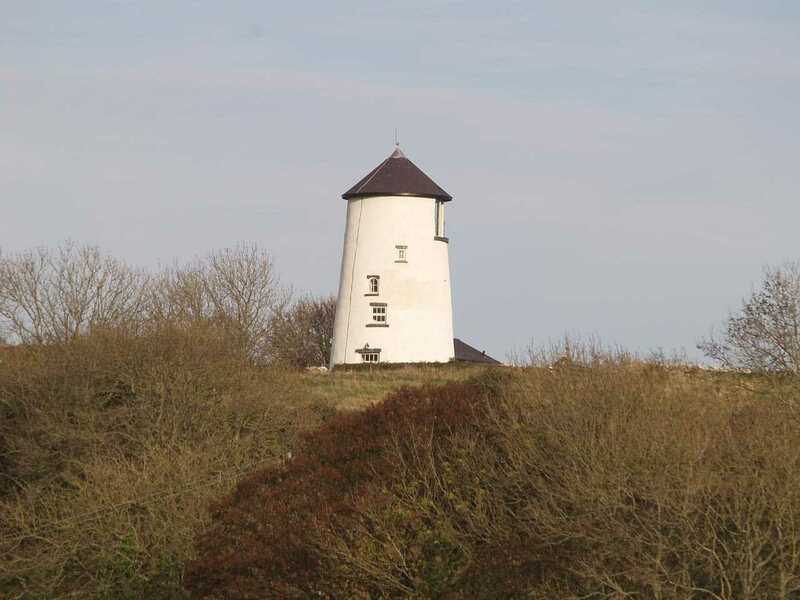 One of the earliest of the windmills still in existence, the corn mill was built in 1741, and continued working until the early 1920's. In 1881, the miller was William Jones, aged 66 - and born in Llaneugrad - who lived in the property named Ty'n Felin (Mill House) with his wife and their 5 year old grandson. One servand made up the household. Also living in the village was Thomas Meredith aged 48, a corn and flour merchant living at Pen Y Bont, Llangoed. 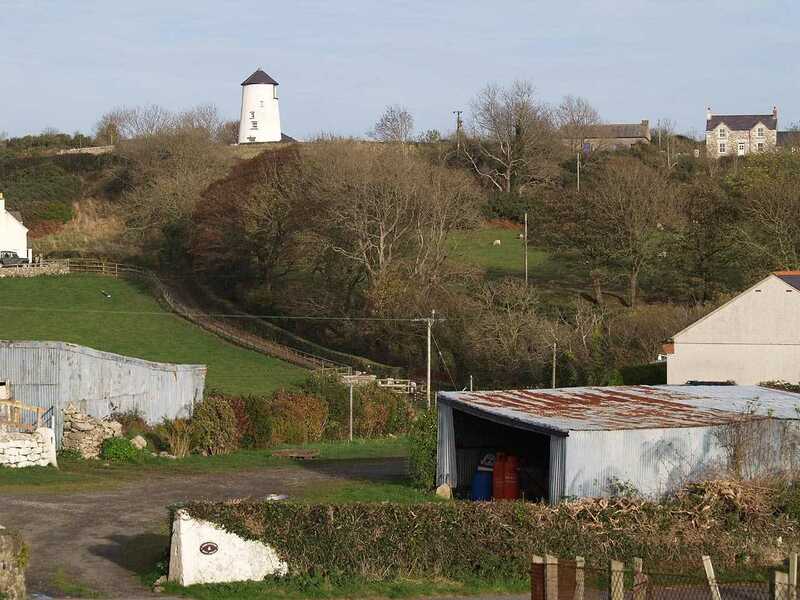 The possible owner of the mill was John Owen aged 36 and born in Llaiestyn, a farmer of 108 acres, living at Trosymarian with his wife, 2 sons, 2 daughters, and 4 servants. 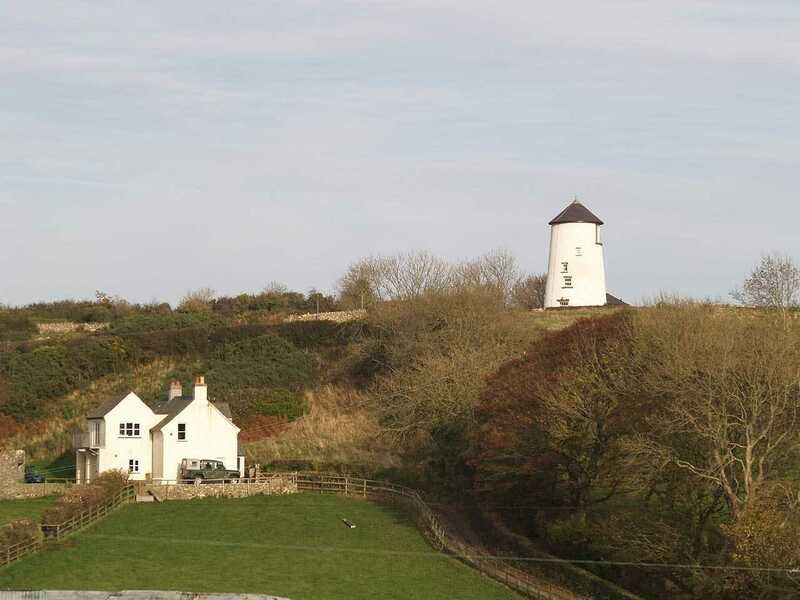 In a place named Mariandyrys, the windmill had been tastefully converted into a dwelling by 2007, the property is now offered as luxury holiday accommodation.